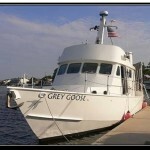 The Motor Vessel GREY GOOSE (M/V GREY GOOSE) is outfitting for a 10,000 nautical mile ‘over the top’ epic voyage in 2013 from Mobile Alabama through the original Arctic Northwest Passage to Astoria Oregon. Attention trawlerblogs.com friends (and foes). We’re going to be switching blogging platforms over the next few days to accommodate some cool new features over here that you are really going to like. Unfortunately, that means that we will be offline for a little while. Don’t worry though – we’ll be back and better than ever! I missed posting this earlier because work got in the way – but Dennis Lawrence of Kadey-Krogen Yachts sent in this photo of Wizard from Deadliest Catch cruising by the Kadey-Krogen offices. Very cool, Dennis. Thanks for the photo! 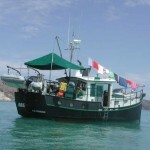 New Trawlers for Sale Section Launches! 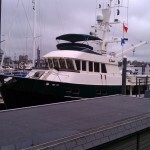 New Trawler Classified Section Launches! 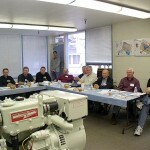 Trawler Blogs sat down (virtually) for an interview with “Lugger Bob” Senter to ask him a few questions about trawlers, diesel engines, and spare parts. This is the first of our two part interview with Bob. 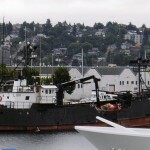 Buying trawler insurance can be daunting. My recommendation is: shop – shop and compare! There’s no better explanation for finding the right carrier than that statement. Of course having an insurance company owner as a business partner helps a little. I started my search with BoatUS.